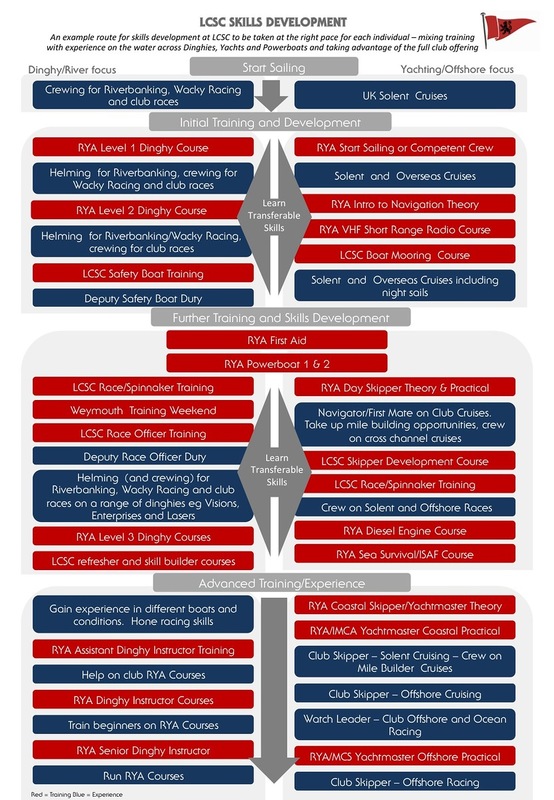 Skills development at LCSC takes advantage of the full breadth of the Club offering where formal training can be mixed with follow on sailing opportunities including club courses, informal coaching and time on the water. Anyone can join at whatever level and progress as far as they want to go. Below is pictorial overview of how the full LCSC club offering works together to enable Skills Development from zero to hero.